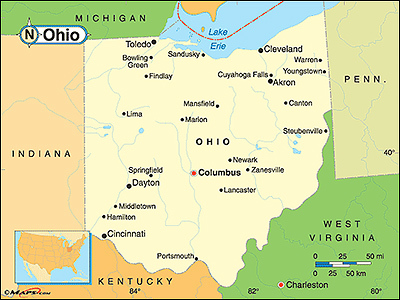 Feb. 12, 2018 — The candidate filing deadline in Ohio passed last week — the fifth state to set its political contenders for the coming midterm election. All of the expected gubernatorial candidates filed, meaning we will see a crowded Democratic field of eight candidates, led by former attorney general and recently resigned federal Consumer Financial Protection Bureau director Richard Cordray. The remaining field features former congressman, Cleveland mayor, state legislator, and two-time presidential candidate Dennis Kucinich; retired state Supreme Court Justice Bill O’Neill; state senator and former minority leader, Joe Schiavoni (D-Mahoning Valley); and Cincinnati ex-state Rep. Connie Pillich. The Republicans are set for a gubernatorial one-on-one match between attorney general and former US senator, Mike DeWine, and Lt. Gov. Mary Taylor. 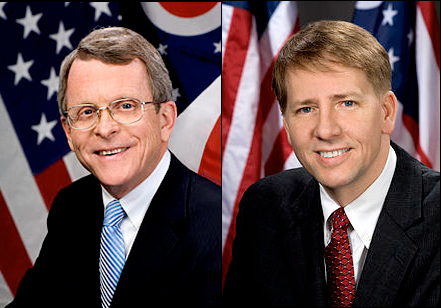 The general election is expected to feature a DeWine-Cordray battle, which will be a re-match of the 2010 attorney general’s campaign, a contest where DeWine unseated Cordray in a close campaign. In the US Senate race, Sen. Sherrod Brown (D) sees five Republicans battling for the right to challenge him in November. Rep. Jim Renacci (R-Wadsworth) and investment banker Mike Gibbons are the two leading GOP candidates. Rep. Renacci is leaving his north-central congressional district to run for the Senate, switching to that race from the governor’s campaign after state Treasurer Josh Mandel decided not to run because of his wife’s newly diagnosed health condition. 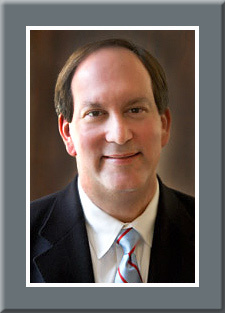 Since Mandel is ineligible to seek another term as treasurer, he will not be on the 2018 Ohio ballot.